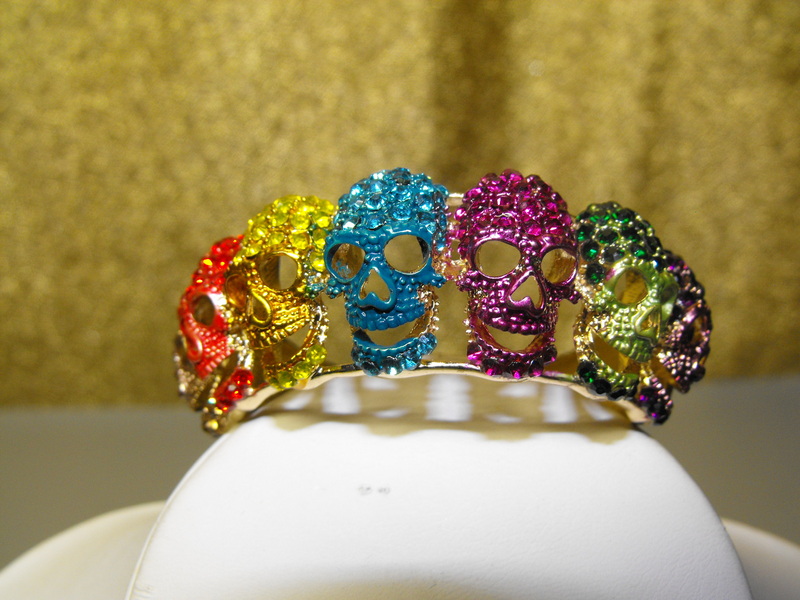 What could be scarier than a group of laughing skeleton heads……in multi colored rhinestones of course. 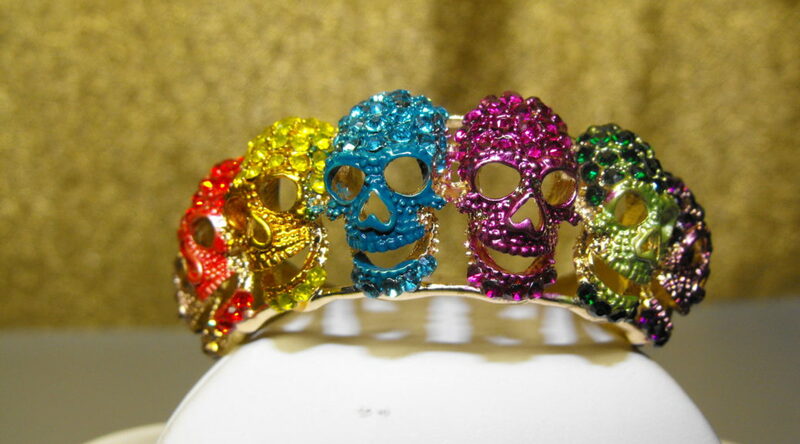 Seven skulls on a spring clasp gold tone bracelet……scary and sparkling all at the same time. 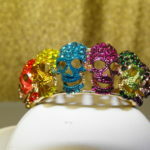 Of course for you skeleton lovers, you could wear this bracelet all year long. Remember: Shipping & Insurance Are Always Free Of Charge.